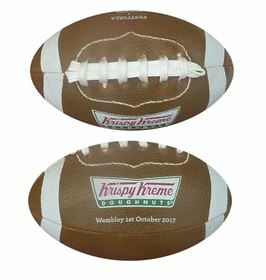 Miniature American Football made in authentic pimpled grain material. 16cm in length approx. NFL games are being played in England throughout the year. 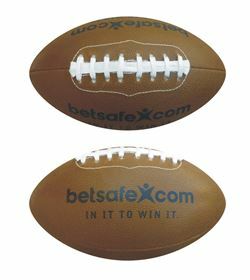 This product is a perfect giveaway in a growing sports market. 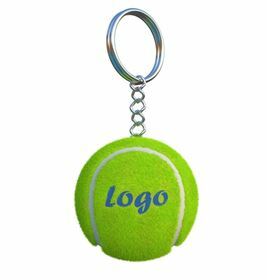 High Quality promotional tennis balls. Rubber balls coated in felt. 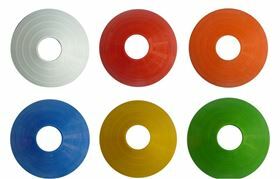 21cm circumference and available in yellow, orange, red, black and white - subject to stock holding. 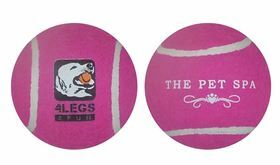 Printed onto the felt in either 1 or 2 positions. 64g per unit. 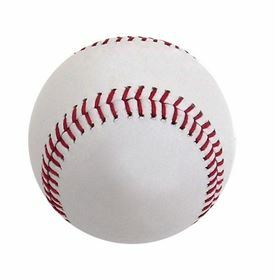 Baseball made to official size. 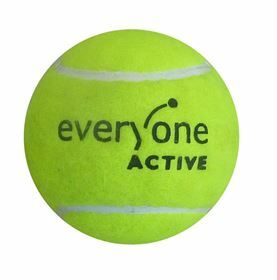 Promotional baseballs are made from rubber and cotton cork and coated with a leather outer lining. Made with red or black stitching as standard. 22-23cm Circumference approx. 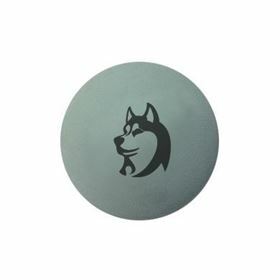 Felt Covered Rubber Dog Ball. Perfect for training your dogs. 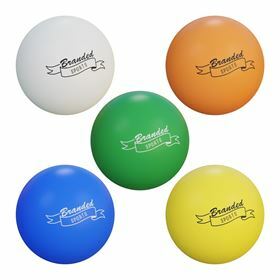 21cm circumference and available in Red, Yellow, Blue, Green, White and Pink. Printed onto the felt in 1 position. 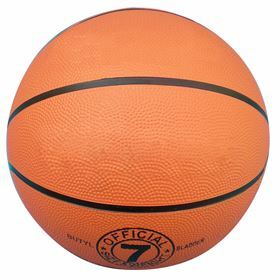 Full Size American Football. 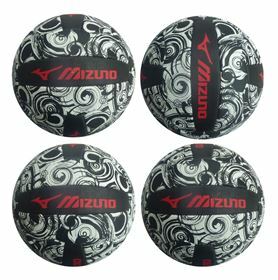 Made in authentic pimple grain rubber material. Can be colour matched and printed to all 4 panels if required. MOQ based on standard colour. NFL now play regular season games in England. 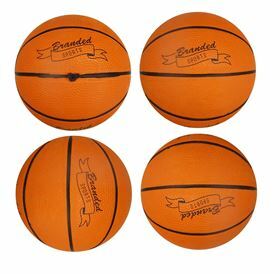 Size 7, Full Size Promotional Basket Ball. Made in pimpled grain material to the full size requirement. 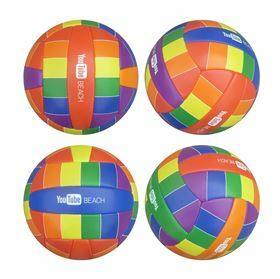 The promotional basket ball is great for shop displays and basket ball promotions. Can be colour matched if required. Full Size Netball. Can be made to professional or promotional spec. 18 panels, pimple grained material. 69cm Circumference approx. Panels can be colour matched. 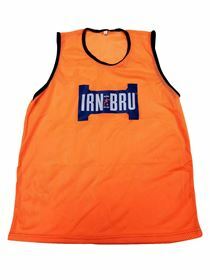 Printed up to 4 spot colours as standard.